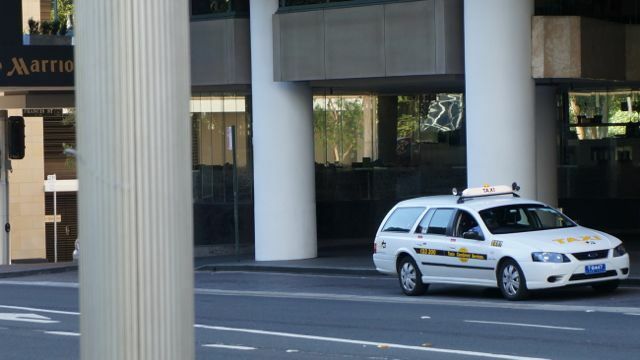 To the Loser Taxi Driver (Car #8447, of Taxi’s Combined Services) in Sydney, Australia. I just want to send you a note of thanks for rejecting to take me to my destination of Paddys Market from the Marriott (Sunday Feb 12, 2012 around 9:50am). Who knows, you may have saved my life…Well, that is if you crashed while driving me to my destination. In any case, you saved me roughly $10.00. Although, I am still a little annoyed you should know my thoughts. – As a visitor to your city, I am not interested in mapping my way around and trying to walk and ask people if I am going the right way. If I am paying you for a service that you are supposed to provide. Just do it and be thankful that someone is hiring you. On a final note, I just wanted to let you know that nobody cares, nor should they care to listen to you next time you complain that you have nobody to drive around town. I’ll immediately clutch your rss as I can not find your e-mail subscription hyperlink or newsletter service. Do you’ve any? Please permit me realize in order that I may subscribe. Thanks. Thanks for your note. there is indeed an RSS feed available (although a little hidden). It is located on the right hand side near the top of the page (just right of RITCHWORLD). have a fantastic day and thanks for the follow!